I began a career in HR after taking an Industrial/Organizational Psychology during my senior year of college. I was very interested in taking the concepts of psychology and applying them to motivate a workforce. Overtime, I found myself drawn to the numbers side of HR while working on compensation and analytics projects. After working on the internal side of HR for most of my career, I decided to try out the consulting route. Above all, I truly believe that well aligned people practices can really differentiate an organization from the competition. I think HR is an evolving field and I’m happy to be a part of it. 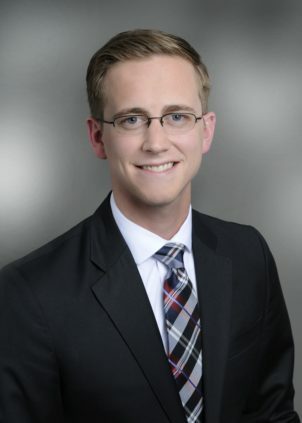 I currently serve as a Consultant in Korn Ferry Hay Group’s Rewards and Benefits practice. As a reward consultant, I typically work on client engagements that involve some sort of work measurement (Job Evaluation), market competitiveness and salary structure development. I also work with incentive programs, salary increase administration, cost-impact analysis. As nerdy as it may sound, there is nothing I enjoy more than setting up a big analysis spreadsheet for a client. Using some of the concepts and methodologies I’ve picked up in consulting, I really enjoy taking a client’s internal pay data and showing them, in detail, how they are paying compared to the general market. Typically, a comprehensive analysis will stir up more questions than answers; and it’s great to walk through the analysis with a client and help them use their data to make decisions that will benefit their employees and their organization. I have to say that my greatest accomplishment is the Master’s degree in HR that I earned back in 2014. I was working full-time in my first HR job and I didn’t really have much of a personal life during those two years. I learned so much in a short period of time; and I still think that going back to grad school at that point in my career was one of the best things I’ve done. There are a few recommendations I’d have for someone entering the HR field. First, you should really know the business that you’re in and try to find ways to align the HR strategy with the overall organization strategy. Always remember that a strategic HR department exists to help drive strong performance. Second, look for an HR role that will give you exposure to many areas of HR. Whether it’s talent management, recruiting, compensation, employee relations, etc., there are many different areas of HR and a position where you get broad exposure will help you discover which area is best for you. Finally, network often. HR has a special spot in an organization; if done right, HR is both an employee and employer advocate. It’s good to meet and connect with as many people as you can so that you can truly understand the business (as I suggested at the beginning of this response). I actually moved into my current role at Hay Group through PSHRM. I was at an Emerging Leaders event a few years back and a Hay Group consultant was there as part of a panel. I was really interested by what he had to say, so I went up and talked to him afterwards. From that conversation, I was eventually connected with a few more people at Hay. One of those people ultimately became my manager. 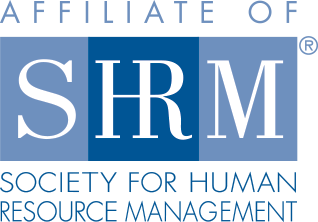 I know that PSHRM isn’t here simply as a tool to get a new job, but it is a great way to get engaged with the HR community in Philly and to become aware of the many opportunities and different HR environments they have out there. My spare time is usually spent on a couch in front of a TV, reading the news, driving to visit family, visiting family, drinking a responsible amount of beer, watching sports (during the playoffs), listening to music, going for a jog, doing laundry or thinking about how I should read more books. Stay up past 10pm on a week night. © 2017 Philadelphia SHRM. All Rights Reserved. Web Design by Push10.